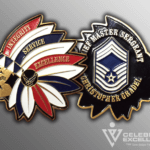 We are Veteran-Owned and operated, creating exceptional challenge coins and badges. 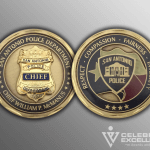 WE ARE THE NATION’S HIGHEST RATED DESIGNER AND MANUFACTURER FOR CHALLENGE COINS, FIESTA MEDALS & LAW ENFORCEMENT BADGES. 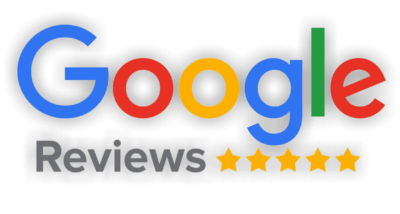 We are the highest-rated San Antonio Fiesta medal company! We use only the highest quality materials in our Fiesta medals. Choose from a number of finishes and neck ribbons. The nation's only BBB A+ provider of challenge coins and medals. Innovative design and unbeatable quality. Competitive pricing and no die charge for orders over 100 pieces. Our custom Law Enforcement Badges are top tier, jewelry-quality custom badges for Texas Police, Sheriffs, Fire Marshals, EMS, Firemen and all other sworn officials.